Nirmal Lumpkin is a Professional Trainer specializing in Western Anatomy and Postures. She has a great love for the human body and human experience that was developed through her many years as a dancer, as a Massage Therapist and in her current studies in medical school. 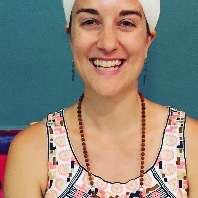 She has been practicing and teaching Kundalini Yoga for over half her life and loves the opportunity to witness and support the transformation that happens during teacher trainings.